Coconut husks, peanut shells and rice straw turned into construction boards in Thailand; low-energy natural cooling using an Egyptian method involving earthen cones in India; CO2 in California being used to make carbonate rocks to replace limestone – these are some of the 55 lucrative impact investment opportunities identified in a new UN report. Produced by the UN Global Compact, together with quality assurance and risk management company DNV GL and advisor group Sustainia, the report aims to “showcase new business opportunities to build a sustainable future”. The report is based on a survey and consultation with more than 17,000 business leaders across five continents, and addresses four of the 17 Sustainable Development Goals most likely to be missed – Goal 10: Reduced Inequalities, Goal 12: Responsible Consumption and Production, Goal 13: Climate Action and Goal 14: Life below Water. 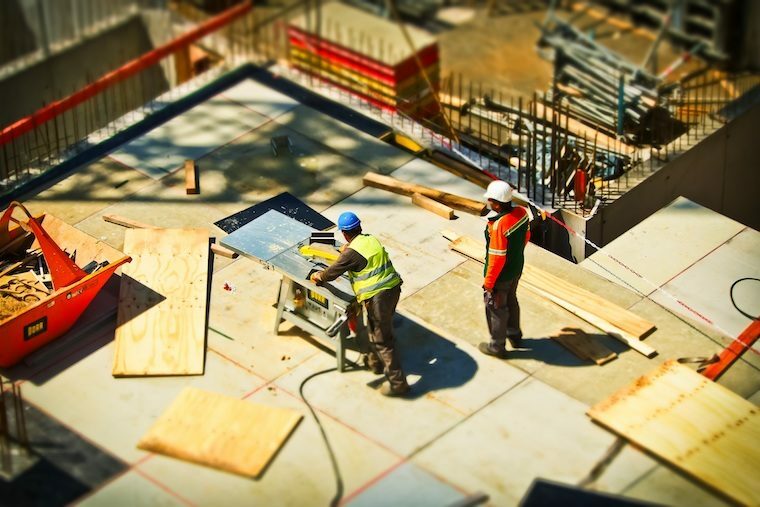 The construction industry – with constructed objects accounting for 25-40 per cent of the world’s carbon emissions and a large percentage of total solid waste – is targeted for action. “Results reveal that challenges can be turned into opportunities if we adopt the right mindset,” the report says. New markets are emerging at the intersection of technology and sustainability risks, and businesses need to “move beyond their comfort zone” and operate on the frontiers to capitalise on this. While emphasising the positive, the report’s authors say ominously that the world is very different than it was in 2015, when the first Global Opportunity Report was launched. Many of the solutions to the SDGs can be described as at the “edge of markets”, meaning they require collaboration from across fields of expertise. To illustrate, think of a Tesla hybrid car: it uses IT and energy storage technology that was outside the realm of the auto industry to create. Among the 55 weird and wonderful projects for our brave new world are hybrid ships, the re-use of lithium batteries and flour made from ground-up crickets. Every bit counts. With global warming and urbanisation, demand for airconditioning (AC) is on the rise, but existing technology is outdated and heavily polluting. AC and refrigeration accounts for 17 per cent of global electricity demand, and in the US alone AC units lead to the emission of 117 million tons of carbon annually. AC systems typically emit fluorinated gases, which have global warming potential many times higher than CO2. In cities, AC can raise temperatures by more than 1°C locally, worsening the heat island effect. This vicious cycle means that keeping cool is making us hotter. One ton of construction and demolition waste is produced per capita in Europe each year. The production of new building materials is very energy intensive and associated with large CO? emissions, so reusing old material will reduce the sector’s high emissions. Urban mining focuses on extracting existing raw materials from buildings scheduled for demolition or refurbishment. StoneCycling in the Netherlands builds houses with bespoke bricks made from old construction waste, all sourced locally. It works closely with leading architects, designers, construction companies, and developers to create a “more circular world”, changing the perception of waste. The inputs for the products are waste ceramics, glass and insulation, as well as rejected clay from traditional brick manufacturing – all locally sourced. Reusing materials diverts construction waste from landfill and reduces the demand for virgin materials. The company aims to upcycle more than 1000 tonnes of waste into new bricks in 2018. Despite the 17 per cent annual growth of China’s enormous construction industry, which has increasing influence internationally, the sector has lacked innovation in new building techniques. Winsun uses 3D printing to produce more than 22 million square metres of prefabricated building materials from industrial solid waste to replace cement in the production of a new type of low-carbon building. The “ink” used is made from 100 per cent recycled materials, saving 18,000 tonnes of cement in 2016 alone. The structures are highly energy efficient, can withstand magnitude nine earthquakes and save significant time and resources during construction, with less waste and pollution of the environment. Although still small in scale, the 3D concrete printing market is estimated to grow from $24.5 million in 2015 to $56.4 million by 2021. The use of 3D-printed structures in factories means air pollution from construction is vastly reduced, a benefit to all those suffering from respiratory illnesses. Winsun’s buildings are 40 per cent more energy efficient than conventional alternatives, reducing the energy demand on China’s coal-dominated electricity grid. Kokoboard is turning trash into cash and alleviating rural poverty by upcycling agricultural waste products into building materials and trendy products. In Asia, more than 24 million tons of agricultural waste are produced every year, and are mostly incinerated, releasing carbon to the atmosphere. Kokoboard has found a use for such waste streams, turning coconut husks, peanut shells and rice straw into construction boards, sequestering more than 200 tons of CO? annually. It is also upcycling its products further into trendy lifestyle and homeware goods. In addition, the company sells the plans for its machinery, allowing others to replicate its good work. Kokoboard removes one driver of deforestation by providing alternatives to timber. The production of concrete is estimated to be responsible for around five per cent of global greenhouse gas emissions. Blue Planet in California, which produces carbon negative building materials, uses CO? as a raw material to make carbonate rocks, replacing natural limestone rock, the principal component of concrete. Carbon dioxide from industrial flue gas is converted to carbonate by combining CO2-containing gas with a water-based capture solution, thereby avoiding costly purification methods involved in other carbon capture methods. The carbonated solutions formed are then applied to coat particles and form limestone building materials, comparable to the natural formation of limestone in the ocean. Materials sold by the company include aggregates, sack concrete, and roofing granules.